Here’s a $10 coupon to spend on anything on Huckberry. 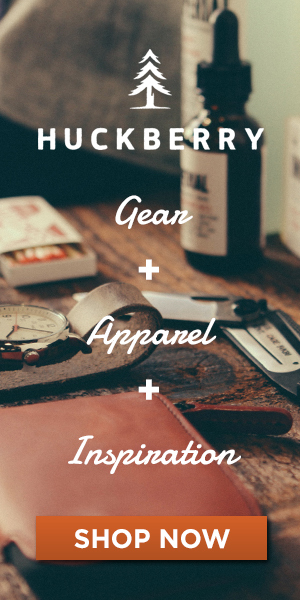 It’s no surprise that we love Huckberry and all of the cool stuff they feature on the regular. From the latest mens apparel and trending styles, to home out fittings, automotive accessories and pretty much everything in between; yep, Huckberry is pretty sweet. Today we bring you a $10 Huckberry coupon to spend on whatever you like, yep, it’s that simple, just click here and head over to Huckberry for shopping delight. So.. what is Huckberry you ask, well, as the folks themselves put it, “We’re a team of writers, designers, and above all else doers. We live and work in the heart of San Francisco, but try to get out of the city as much as possible to hit the surf at Ocean Beach, ski the Sierras, and hike the Marin Headlands. And much, much more. Stop wasting time and get on over and use your free $10 Huckberry Coupon – Shop Now.